Blogish Responsive Blog Style Blogger Template - This is another Responsive Blog style blogger template. Blogish is almost same with Maya Blogger Template. But is this template, we bring some awesome features. Blogish is multi layout blogger template. First time we're publishing Multi layout blogger templates. Blogish is super fast and SEO friendly blogger template. This is an ideal choose for all kind of blog website. It will be perfect for Technology blog, Review Blog, Personal Blog, Photography blog and etc. 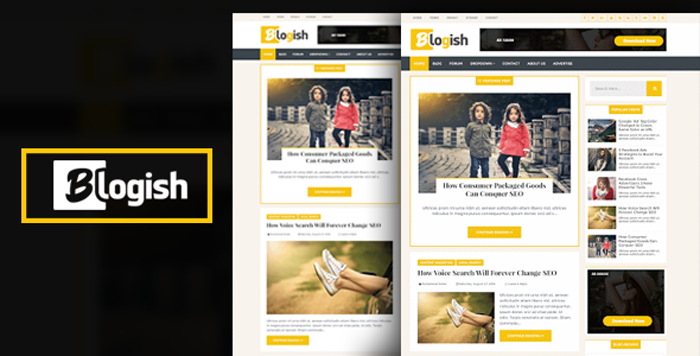 Blogish is a high quality and responsive blog style blogger template. This is perfect template for all kind of Blog website. This is a professional blogger templates. First time we're giving all premium features on free version. 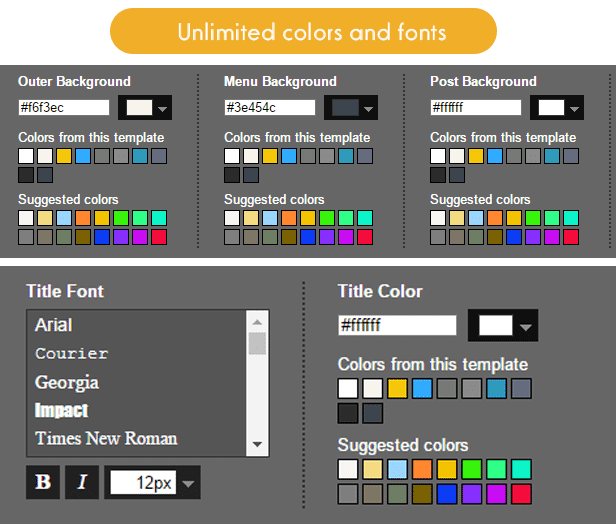 You can enjoy Unlimited fonts, unlimited colors on free version also. But Premium version is more powerful and more featured. Hope blogish will be right choice for your blog. Blogish is first designed multi layouts blogger template by msdesignbd. Two specific templates with specific demos and creative layouts. 1st one is blog style and 2nd one is full width post thumbnail. You can enjoy the two layouts free version also. MS Design always create high quality professional blogger templates. If you're looking for a blog style blogger templates, then Blogish will be perfect choice for you. Blogish is a mobile friendly blogger template. Mobile Friendly blogger template make a good performance on Search Result. 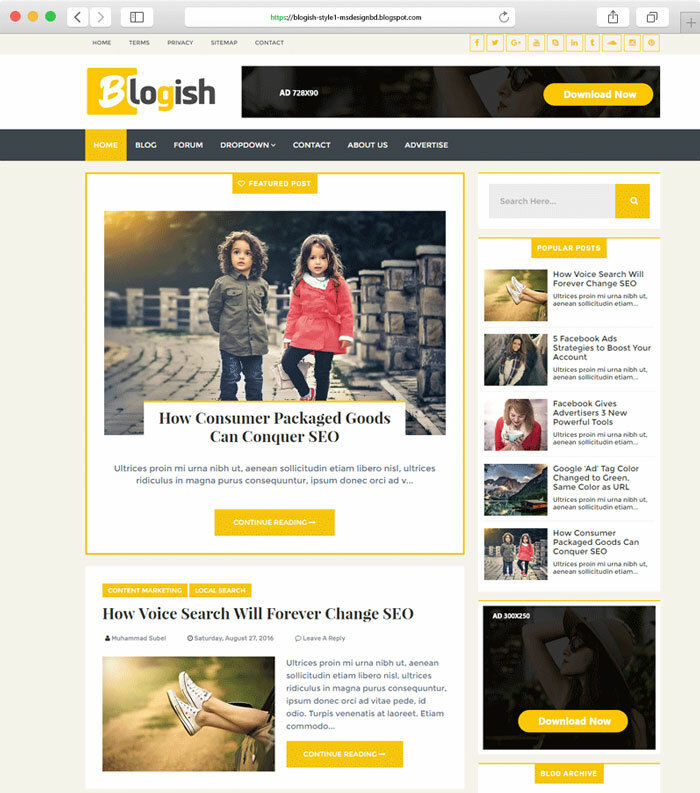 Blogish is high performance mobile friendly and user friendly minimalist blogger template for blogspot platform. This is very important features for every blogger template. MS Design always give all outstanding features on their blogger templates free and paid both. We applied Blogger Template designer option on Blogish blogger template. You can change Template fonts and colors by this feature. And more features are available on free version of Blogish blogger template.